A lot of people these days continue to declare that Tagalog action movies are dead for good. Well, there's some truth to such a common pronouncement. For sure, the golden age of Tagalog action films are over. Gone are the days of Lito Lapid, Robin Padilla, Bong Revilla, Ronnie Rickets and company. But to declare that this genre is dead is over the top. Pinoy fans get to see a couple of local action films released every now and then. 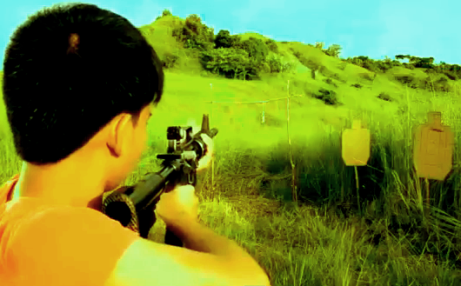 Case in point is the upcoming actioner Saka Saka, a film starring Ejay Falcon, Joseph Marco, and Baron Geisler. Directed by Toto Natividad, the film will be shown in selected theaters starting on December 18. Watch the trailer below.